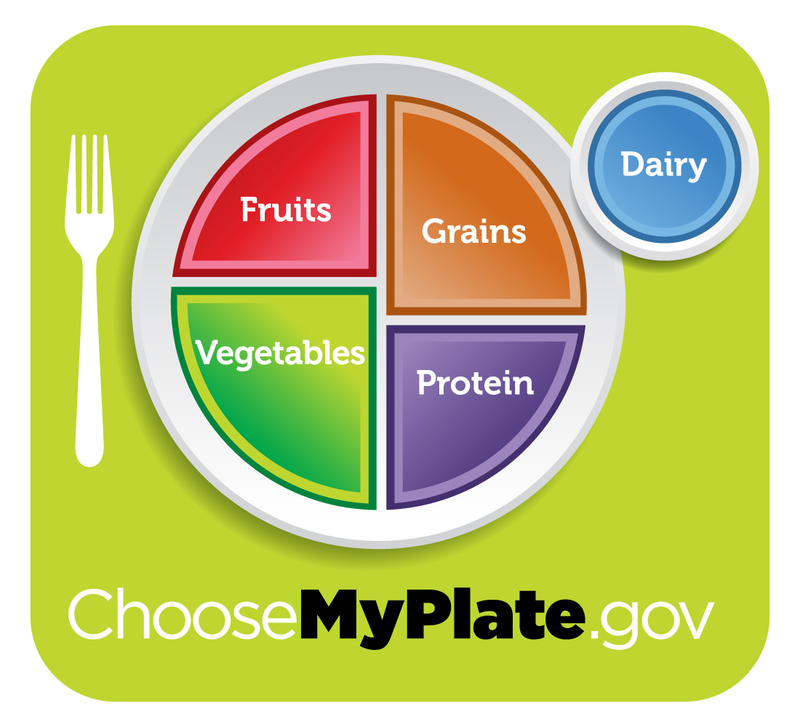 Yesterday the United States Department of Agriculture announced it was abandoning the food pyramid icon and moving to a new icon called “My Plate”. 1. Many people found the food pyramid confusing, especially on the matter of whether food should be served from a pyramid instead of a plate. The new My Plate icon clarifies the plate as the most efficient tool for serving food. 2. Some parents worried their children were subliminally being taught about Egypt through the use of the pyramid, a clear violation of their rights as parents not to teach their children about the existence of other countries. 3. The constant visual presence of the food pyramid may have subtly conditioned Americans to be more trusting of and give money to pyramid schemes. Americans proved especially susceptible to pyramid schemes selling shares in the pyramids and pyramid schemes seeking an overland route to the pyramids. Although I’ll miss the pyramid, a circle makes the most sense of all shapes if the goal was simplification. I wish I had known the USDA was trying to make the chart less complicated before I started an office pool guessing the new shape and put my money on the concave polygon, the Lemoine hexagon, and the Archimedean Spiral. Once the USDA had decided on a circle, the plate was not the automatic favorite, suffering from the lack of a plate lobby representing its interests in Washington, and giving an early edge to more powerful circles like the pizza, cake, and pie lobbies. Early drafts of the new healthy eating program gave pizza, cake, and pie a chance to represent the circle, but somehow these didn’t test effectively in encouraging youth to eat better. 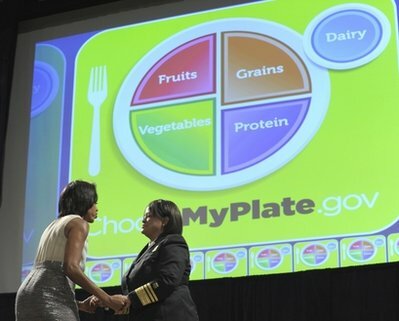 Helping to unveil the new My Plate icon were First Lady, Michelle Obama, and Surgeon General Regina Benjamin. During the press conference, both women emphasized that exercise was also an important step in maintaining a healthy lifestyle and demonstrated the ease of getting some quick exercise by performing a short waltz. Wait, are we doing the Viennese Waltz or Country Western? The audience was not impressed when the women stumbled through a poor start as neither woman seemed sure who should lead and could not decide on a consistent time as Michelle favored a 2/4 and Regina would not budge from a 5/4. After several awkward moves and a few hisses from the audience, they tried a tango. One, two, three, four, one, two, three, four. Regina: Maybe I should try leading. Michelle: Doesn’t it seem like I should keep leading? I’m six feet tall, you know? How are you going to twirl me? Regina: You’ve been leading this whole time and you haven’t twirled me once. I don’t think you’d know a twirl if it twirled right past you. Michelle: Oh, no, you didn’t! Regardless of the success of their impromptu dance, kudos to these two ladies in showing their enthusiasm for improving public health. Goodbye pyramid. My biggest concern is with the timing of the announcement. Did we really need to eliminate the pyramid at a time when Egypt needs our support? What message are we sending as we appear to be symbolically rejecting Egypt at the very time it attempts to transition to democracy? Congratulations to the circle on its food icon victory! But don’t get too heady circle, I’ve heard some parents are already complaining about the circle as a subliminal message subverting their right not to teach their children the world is round. 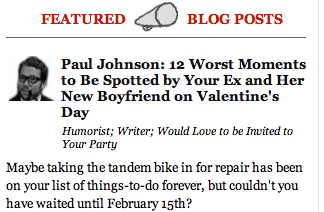 (Good grief, am I really first for once?) If I ate like this plate proposes, I would gain a pound a week. I think we need a garbage disposal diagram. 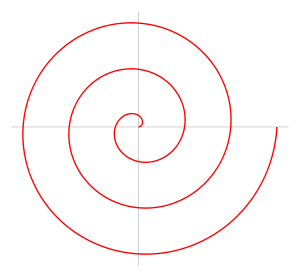 your spiral design’t good too. It represents nutrition going down the drain. Nutrition going down the drain might not be the message they were going for. The food pyramid may have been confusing but that My Plate is a minefield of potential confusion. First, how do you eat everything with just a fork? And I can understand green for vegetables, reddish for fruit and even yellowish brown for grain. But why is protein purple and dairy blue? And the fork looks plastic. You won’t be able to spear nuts with that plastic fork. But why is protein purple and dairy blue? nice colours…that’s about it as far as ‘my plate’ is concerned but i’m not adopting it. Rice (grain), Chicken (protein), Stewed spinach (veg), Orange juice (fruits) and yoghurt for dessert (dairy) – That’s probably as close as I’ve ever gotten to this! The colours are pretty. Purple is my favourite colour. But I wouldn’t eat anything that was purple*, especially if it was blandly labelled ‘protein’. That doesn’t sound very appetising. I think that instead of going for a pie chart style, the USDA should have made a smiley face on the plate. When I was little my parents did that with my dinner and I ate everything on the plate, without fail. * Damn. I just remembered I like grapes, cabbage and eggplant. Not sure they count as protein, though. The colors remind me of Jello. And speaking of Jello, why was it left off this list? I’m holding out for the next phase, The Food Trough. The Food Trough was under consideration but animal rights groups felt the icon would then be confusing for animals. They left out the fat and sugar. Those bastards! And where’s the spot for overly processed, flavor-injected, color added, colorfully packaged crap? So many food groups have been completely ignored. I’m sensing a discrimination lawsuit in the FDA’s near future. It’s sad that the USDA chose to highlight foods like fruits and vegetables that required no ingenuity to invent like Cheetos and Twinkies. I vote for your spiral, in hopes that the center holds a Chic-fil-A sandwich, waffle fries and sweet tea. But I like to mix up my food…blend the tastes and combine the textures. I personally think it looks like a baby food plate. Are we supposed to decimate our food before we eat it? Also, I would be prepared for the Nutrition Nazis to start complaining about your lack of decorum and respect toward this serious topic and national health crisis. Our local news spent about an hour on this subject — including a twenty-minute look at food pyramids around the world. By the end I was ready to move to France; where they include a spot on the pyramid for red wine (two glasses for women and three for men). How about a plate that is doing jumping jacks? I never liked the pyramid. I always felt chocolate should have been on it. There were a couple of food groups left off the pyramid, which are also sadly lacking on this new plate…like chocolate. Beer. Cheetos. Frankly, I was okay with the pyramid until they put that jackass running up the side of it. Who the hell needs a reminder that I’m supposed to exercise, too? I’m glad that one is history!!! So, now I have to get compartmentalized picnic plates? How is that any easier than stacking 6-11 servings of bread, 3-4 servings of vegetables, 2-3 servings of meat, 2-3 servings of fruit, and 2-3 servings of dairy into a cone shape, with a little pile of sugar and fat on top? The plate has space between all of the foods. My kids would appreciate that. They can’t have things touch. Now, the dairy is problematic to me because we can’t even guess at the volume, so it’s meaningless. Is it a ramekin of sour cream? Sixteen ounces of skim milk? A milkshake? A cheese wheel? I vote for the spiral, and chocolate should be at the middle of it. I believe it is a pint of Hagen Das, viewed from above. That’s my story and I’m stickin’ to it. Did Microsoft design the food plate? I can’t help but click on it. I try clicking on each section, too. Nothing. It’s broken or has a bug. Shocker. Hops – fruits or vegetables? Just want to know where they should go…..
Hops are whole grains, Silly. And look! It’s the biggest section! YES! What are the implications for our currency? Are we replacing the weird pyramid thing with a weird dinner plate thing? My god, I mean… where will the eye go? WHERE WILL THE EYE GO?? Well it ain’t Atkins, that’s for sure. Look at that little bit of protein there, and all those grains. Still, I can see this emblazoned on the front of vending machines. Maybe you can just use it as buttons and push the food you want. What will you get? Mmm… pretzels, fruit roll-ups, potato chips, beef jerky and chocolate milk. I have to finish reading this later. At the moment, I have too much on my plate. It seems to me so long as we used that paradigm, nutrition and human health have been slowing disappearing, also. Maybe the flying saucer with shuttle docking method will work better. We have a large organic garden. For years, we have been trying to train our plants to grow in a pyramid. We have free range chickens. We have been trying to train them to lay eggs in pyramids. Now all that work is for nought. I will go out this morning and try to explain to the potatoes, the kale, the beans, and the spinach their new goals. As for the chickens, they never listen to me anyway, so it does not make that much difference. I agree with Jamie. The message I’m getting is that morons need to be told how to eat and how much and why and when and where, and this is best achieved through the use of a colorful primary school-like chart with words consisting of no more than two syllables each. Dumbing-down, I tell you. But, I like my fruit separate, in a bowl. What about MyBowl? And why does my Dairy have to be round? Do I have to start trimming all my cheese slices with a cookie cutter? At least with the pyramid you knew that the food at the top was the most important so you were to eat that one the most. I need hierarchy to help me decide what to eat! Was the food at the top the most important? That never occurred to me because I assumed the most important foods would form the foundation. Oh no! I would have voted for the archimidean spiral as it denotes the in and outs of the foods journey from the GI tract! That’s exactly why it won my wager. The dumbing down of American. What a novel idea! Let’s see how could this have happened??? (Michelle’s Secretary) “You can’t just watch Jerry Springer all day you have to do something, take up a cause like helping Americans improve on their health. I thought the Tube-steak lobby would be out voting for the almighty Hot Dog in all its Tubular glory. I’m not sure I’d like to have strawberries on my dinner plate… and why do I need a seaparate plate for dairy??? Very confusing. Take me back to Egipt. Is the separate cup for dairy saying we should only get our dairy from milk? The government better not be dissing cheese. For years I’ve been telling my friends to turn off the news and only listen to me, so I certainly appreciate your vote of confidence. i was hoping for a trapezoid…damn. The Food Trapezoid has a nice ring to it. Also the Food Rhomboid. As long as I can continue to count beer as a grain and wine as a fruit, then I’m fine. I’m just reeling from the idea that Regina ‘Zaftig’ Benjamin expects us to take her seriously when she tries to preach healthy eating and exercise. That’s why I was confused by her waltz demonstration. It’s hard to believe she’s a frequent waltzer. I’m still making pyramids out of my mashed potatoes. Nobody will ever make a tiny plate out of the mashed potatoes on his plate. Now what am I going to do with all my good china dinner pyramids???? Did anyone stop and think how this would affect the china dinner pyramid industry? So funny! I don’t even want to think about how much money this cost the taxpayers…. Don’t tell me that damn plate’s the reason my property taxes went up. Don’t even tell me..
$2 millon dollars. (Sorry, Paige). The dinnerware looks like a cheap plastic picnic set, right? And a plate, being a circle, has no beginning and no end, a metaphor for people’s appetites. You’ve taken it to a whole new level. Well done. Our obesity epidemic is as good as cured now! My only concern is to make sure the parents tell the children NOT TO EAT THE GRAPHIC! Our kids aren’t just fat- they’re pretty stupid as well. The government is spending a trillion dollars on a campaign to teach children to not eat the icons. Hillarious. Maybe they were dizzy from hypoglycemia. Because they didn’t get enough brain-healthy fats, like omega 3s and linoleic acids. Because **the USDA left them off the plate. ** Geez. Don’t get me started. A kindergarten student could have drawn that chart. I heard the commissioning of that plate icon cost 4 trillion dollars. What happened to ‘if it aint broke don’t mend it’. We all can understand the pyramid but the plate? Or maybe I am just dumb. And plates break a lot more easily than pyramids. Wouldn’t a pie chart be easier to understand if it had a definitive middle point? This thing plays tricks with my mind and I can’t tell what’s bigger than what. Does this mean I get to have beer for breakfast? If so, I was way up on this My Plate thing before the government. I feel really bad for those people who can only take in liquid nourishment. What about adding a Food Mug for them? Were they aware the portions could have met in the center and been a lot less confusing? Wait a minute, the world is ROUND? We have never grown them, but there is such an “animal” as purple potatoes, reported to be strong in antioxidants. Perhaps this can take us into comic book territory, with purple superhero berries and potatoes bashing oxidants right and left. Purple potatoes have deep violet, ink-colored skin and flesh. Aside from their color, purple potatoes are quite similar to Russet potatoes. Dry, starchy and slightly nutty in flavor the purple potato has a fluffy texture when cooked. Unlike white potatoes, purple potatoes are rich in the antioxidant, anthocyanin. This flavonoid is most often found in blue, red and purple produce such as berries and pomegranates and has been shown to be an immune system booster and aid in the prevention of certain cancers. Not to be a troublemaker, but I have square plates. How do I apply this round model to my square world? Has the government approved square plates? I’m not sure those are allowed. Again, no chocolate group. And they call themselves nutritionists. They also neglected the important gummy categories like bears and worms. A stand-out on the hilarity scale. Lovely post. Of course, I think both shape schemes are equally ridiculous. Perhaps we should just try teaching kids the difference between food and processed crap. Let them eat it off whatever shape they want. I think they should use the Food Thighs as their icon. Let us see exactly where the stuff is sticking. This new Plate icon is Anti-Leftie ! They put their milk on the left, and fork on right, you know.